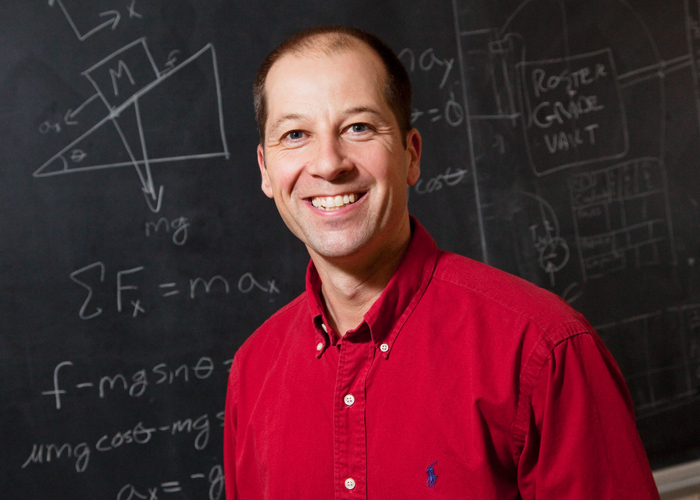 Professor Timothy Stelzer received his bachelor's degree in physics from St. John's University in 1988, and his Ph.D. in physics from the University of Wisconsin-Madison in 1993. After working as a senior research assistant in the Center for Particle Theory at Durham University (UK), he joined the Department of Physics at the University of Illinois as a postdoctoral research associate in 1995. In 1998, he was promoted to a visiting assistant research professor and to an assistant research professor in 2000. A high-energy particle theorist, Professor Stelzer has concentrated on standard model physics at hadron colliders. He has written extensively on top-quark physics and radiation in top events. In addition, he has developed computational methods that have dramatically reduced the difficulty of performing complex cross section calculations. He is the primary author of MadGraph®, a software program that automatically generates the Feynman diagrams and helicity amplitude code for tree-level standard model processes. Most recently, he has been working on a new program to predict how often rare new particles would be produced and also what signatures would distinguish these new particles from the large background of particles already known. He has developed a novel multi-channel approach that efficiently integrates any scattering amplitude to obtain the cross section of any desired process. Want to learn more about iClicker? Sign-up for a live, virtual, 30-minute demonstration, offered several times weekly.